Acne not only affects teenagers but can affect your skin at any age. Serrão Rejuvenation Center, led by Dr. John Serrão, a board certified gynecologist who specializes in anti-aging medicine, offers acne treatments for women in Orlando, Winter Park, and the surrounding areas of Florida. His experienced team is trained on how to provide the best care for every type of skin. Oily skin is often a contributing factor. Acne is characterized by pimples and occasionally by red bumps and cysts. Heredity plays a significant role in the severity of acne. Proper care of the skin and the use of the correct skin care products can help make a significant difference in the control of acne. Patients should consult with Dr. Serrão about acne treatments if they cannot achieve full clearing of acne on their own. Uncontrolled acne can eventually cause facial scarring in some patients. 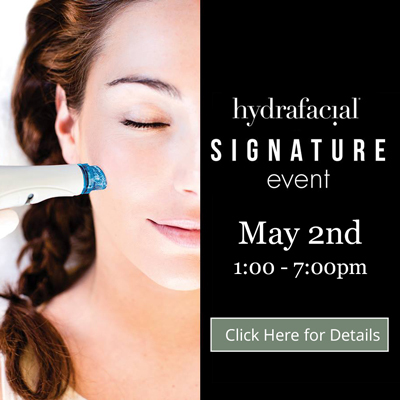 A healthy lifestyle and a good skin care regimen, coupled with a few preventative or corrective measures using the latest technologies, will help make your skin radiant. Serrão Rejuvenation Center has experts in a medical setting who are trained exclusively in the health and beauty of the skin. Facials Our medical-grade facials help prevent further damage, repair existing conditions, and maintain correction of good skin health. Our chemical peels treat a variety of conditions including aging skin, sun damage, discolorations, acne and fine lines. Our medical-grade peels repair existing conditions and maintain correction of good skin health. May be done in a series and combined with other treatments for optimal results. Minimal downtime of mild flaking depending on depth of chemical peel. SilkPeel Dermal Infusion Our microdermabrasion treats a variety of conditions including aging skin, sun damage, discolorations, acne, and fine lines. Our medical-grade peels repair existing conditions and maintain correction of good skin health. May be done in a series and combined with other treatments for optimal results. No downtime. Microneedling Tiny needles are used to create controlled micro-injuries to the skin in order to produce collagen and elastin. The skin’s repair process results in a thicker dermis and healthier skin. Light energy is used to destroy the unwanted sebum and produce beneficial reactions. It treats cystic acne, reduces oiliness of the skin and minimizes the appearance of the pores. Skin quality is improved with a series of treatments. Minimal downtime. Medical Grade Skin Care Products Our products, some of which are prescription strength, can truly improve your complexion. Custom kits for all skin types and conditions are available. With years of experience working with cosmetic patients, Dr. Serrão knows how acne scars can damage a woman’s confidence in her face. Having worked with some of the most prolific doctors in aesthetic medicine, he learned about the most effective ways of treating acne and other skin conditions so that he could bring this expertise to his patients. At Serrão Rejuvenation Center, led Dr. John Serrão, a board certified gynecologist who specializes in anti-aging medicine, our team offers acne treatments for women in Orlando, Winter Park, and the surrounding areas of Florida. Contact us to schedule a consultation and begin your rejuvenation today. Acne not only affects teenagers but can affect your skin at any age. 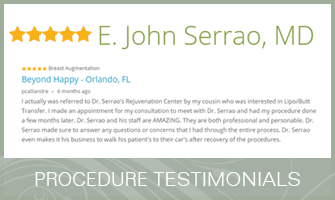 Serrão Rejuvenation Center, led by Dr. John Serrão, a board certified gynecologist who specializes in anti-aging medicine, offers acne treatments for men and women in Orlando, Winter Park, and the surrounding areas of Florida. His experienced team is trained on how to provide the best care for every type of skin. Facials – Our medical-grade facials help prevent further damage, repair existing conditions, and maintain correction of good skin health. Chemical Peels – Our chemical peels treat a variety of conditions including aging skin, sun damage, discolorations, acne and fine lines. Our medical-grade peels repair existing conditions and maintain correction of good skin health. May be done in a series and combined with other treatments for optimal results. Little downtime of mild flaking depending on depth of chemical peel. SilkPeel Dermal Infusion – Our microdermabrasion treats a variety of conditions including aging skin, sun damage, discolorations, acne, and fine lines. Our medical-grade peels repair existing conditions and maintain correction of good skin health. May be done in a series and combined with other treatments for optimal results. No downtime. Microneedling – Tiny needles are used to create controlled micro-injuries to the skin in order to produce collagen and elastin. The skin’s repair process results in a thicker dermis and healthier skin. (BLU-U Light) – Light energy is used to destroy the unwanted sebum and produce beneficial reactions. It treats cystic acne, reduces oiliness of the skin and minimizes the appearance of the pores. Skin quality is improved with a series of treatments. Minimal downtime. Medical Grade Skin Care Products – Our products, some of which are prescription strength, can truly improve your complexion. Custom kits for all skin types and conditions are available. Effective acne treatment that improves skin health is possible. At Serrão Rejuvenation Center, led Dr. John Serrão, a board certified gynecologist who specializes in anti-aging medicine, our team of experienced providers offer acne treatments for men and women in Orlando, Winter Park, and the surrounding areas of Florida. Contact us to schedule a consultation and begin your rejuvenation today.